We’d love your help. Let us know what’s wrong with this preview of Then Shall Your Light Rise by Joyce Hollyday. 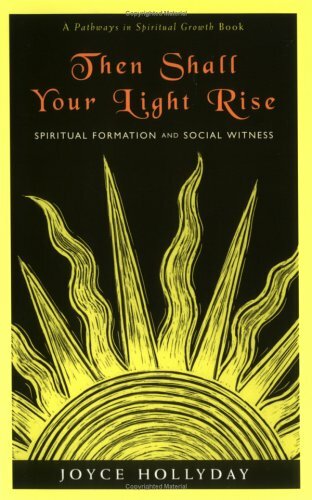 Then Shall Your Light Rise is based on the premise that as we involve ourselves with the world's suffering, we deepen our knowledge of Christ and our need for prayer and other spiritual practices. Social witness should be as fundamental as prayer in the life of a believer, according to the author. The biblical call to seek justice is clearly expressed in her work. To ask other readers questions about Then Shall Your Light Rise, please sign up.